Lei Hou! It means "how are you" in Cantonese. Why am I speaking Cantonese here? Yes, today I'm gonna talk about my lovely hometown - Ipoh. You might be wondering, why will I blog about my own grown up place after so many years of blogging? Well well, although I already moved to KL since 6 years ago but sometime I still miss the little Ipoh town. There are so many memories for me, friend and family. Whenever my friends from other states pay a visit at Ipoh, they sure asked me what to eat, what to do, where should they go in Ipoh. Hmm... 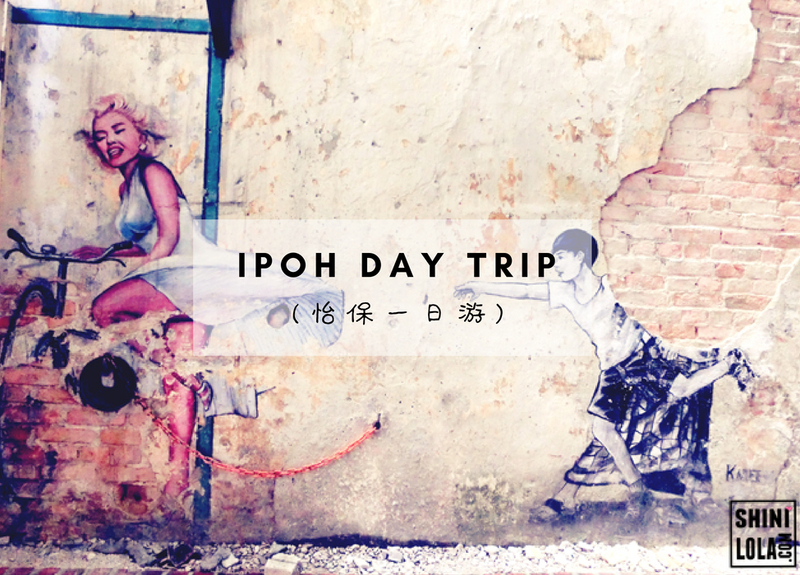 So I decided to explore there for half day and blog about the itinerary here, so you guys will have some ideas when you plan to visit Ipoh next round. So, let's go from KL to Ipoh! You might be wondering what is exactly of Digi WWWOW? At Digi WWWOW, they know that the Internet doesn't just exist. The Internet is people and people make it all that it is. Well, to put it in one powerful word which is Inspiring. It is home to the ones driver by an insatiable passion to create. The ones gifted with the ability to heal. The ones with an eagle eye for business. And the Internet is the launchpad that makes it possible for Digi WWWOW to take ideas further. Yes, your ideas. As you guys knew, I'm a part-time blogger but not much people know I'm actually a full time employee with Digital Marketing field. Yes, I do have a full time job as well(now you know). Frankly speaking, I feel glad that blogging have been part of my life since 7 years ago. I had many wonderful and fun experience during the blogging journey. Moreover, it's my honor to work with the following brands. There are total 8 categories of Digi WWWOW Awards and today I'm talk about Video & Films. So, what would I do if I'm an entrepreneur in this category? I do have a YouTube Channel since 2 years ago. It's inactive until last year, I decided to keep update it more often. From a blogger move into the vlog industry, I can said the process was fun and I do learnt a lot of things because all the production I done by my own. 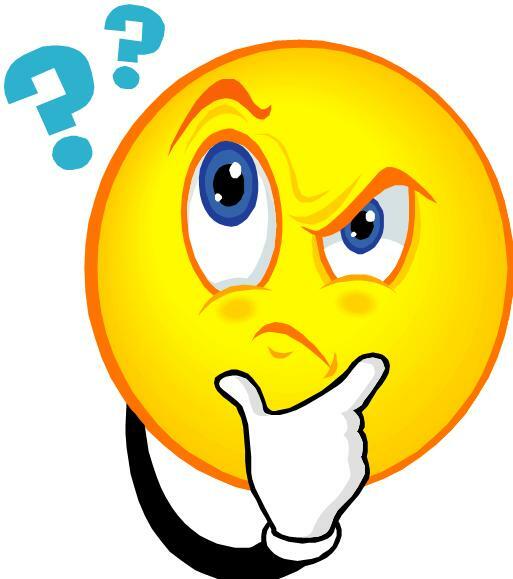 However, if you're asking me will I interested to be an entrepreneur for my own business. Why not? I found out YouTube is an effective social media platform which can drive your popularity with ease. You can became famous with just one night if your video go viral. Thus, if I'm an entrepreneur, I will record a lots of attractive and fun commercial video and upload it into my YouTube Channel. Not just that, I will keep on sharing it on my other social media platforms as well to make it go viral. Of course, professional design concept and editing the video is necessary. I don't mind to learn how to rise up my editing skills by spending more time to watch the tutorial videos and read some articles. For me, it's essential to know all these stuff before you actually starting to record the video and upload it to social media. Of course, it doesn't only just like that. I can also featured / collaborate with other brands in my video in order to gain the reputation / popularity. 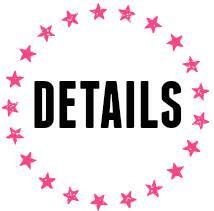 This would be my dream to collaborate with those brands and at the same time I can introduce my brand to you all. So, if you have the same dream as mine remember to submit your idea to #DGWWWOW and cross the fingers! Let me introduce you DGWWWOW #Hangout. 8 category winners will have the opportunity to sit in with industry experts to elevate their businesses, platforms and social ventures. 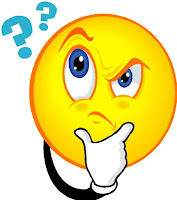 Wondering what winners will received after that? Category winners will spend the day with industry leaders in the marketing world to craft extraordinary campaigns to take their products and services to the next level. 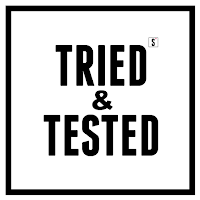 Industry leaders will also share their personal insights and opinions on the best practices , dos and don'ts and all that brought them to achieve success; winners will be wow-ed by the case studies shared. From digital media, e -commerce to content development, be ready to embrace this exclusive and impactful eye-opening experience. 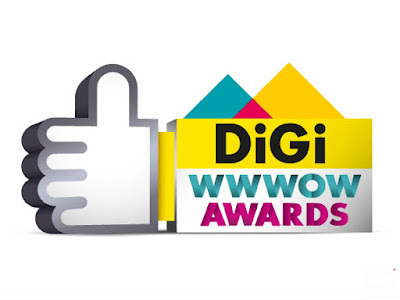 Digi #WWWOW2015 Awards. Are you the next Internet hero? Have you got a project, an idea or a business on the Internet that you are proud of? Let them help you take it further! Submit your entry HERE, or nominate someone who you think deserves to win. I'm actually visit them quite frequently because first, they just located nearby my house and second, their foods are delicious. If you're my loyal reader then you should know I love Japanese foods. 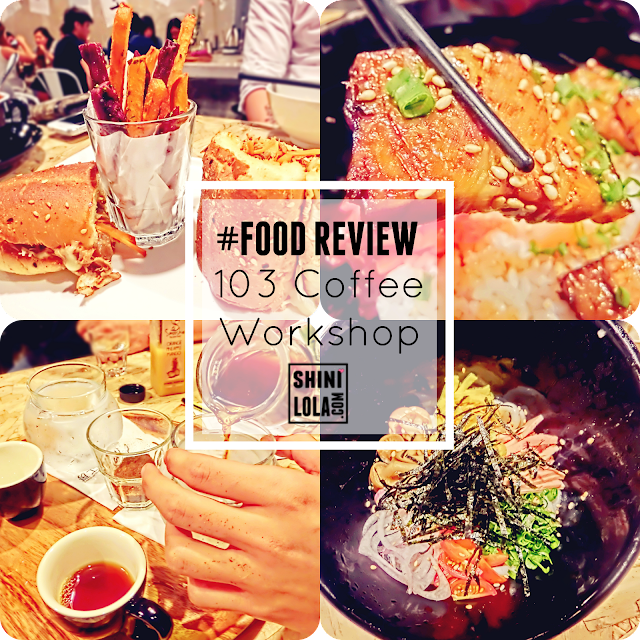 What so special about 103 Coffee Workshop was they have the combination foods of Japanese and Western, at the same time they also mixing some local tastes. This busy city needs a one stop resting station. Somewhere comfortable that let an individual or a group of friends and family to have a short rest. 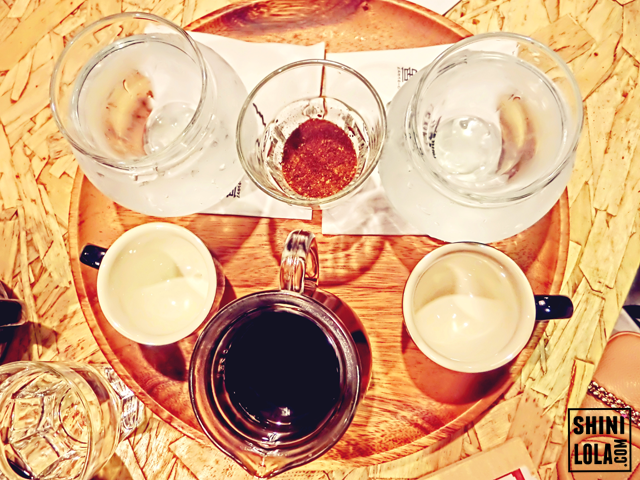 Somewhere that is not filled with unnecessary things that cloud your mind, a place where you can fill your stomach with japanese don and brunch set, a place where you can enjoy a nice cup of speciality coffee and hand-brewed coffee. 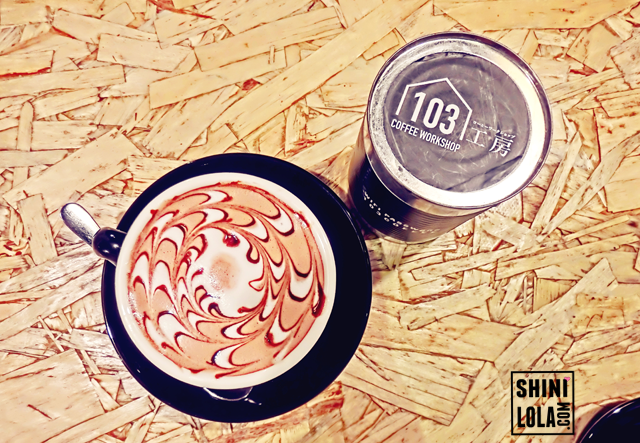 This is the beginning of your beautiful encounter with 103 Coffee Workshop. A delicate fusion of lavender flowers with tea presented as a tribute to Charles Grey, a former Prime Minister of Great Britain. Some of you might know, I'm a tea person instead of coffee. 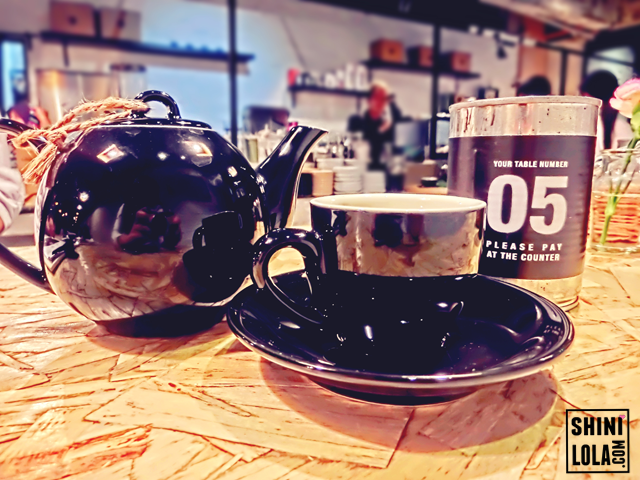 Thus, Most of the time I ordered the Orea Choc Blended that I mentioned previously in the "Top 10 Cafe in Klang Valley" post, or I just order a pot of tea. I quite like their chocolate flavour because its not taste too sweet. It got smell of belgian chocolate and I can really taste the chocolate flavour instead of just sweet. They will create a nice coffee art on the top or you as well. 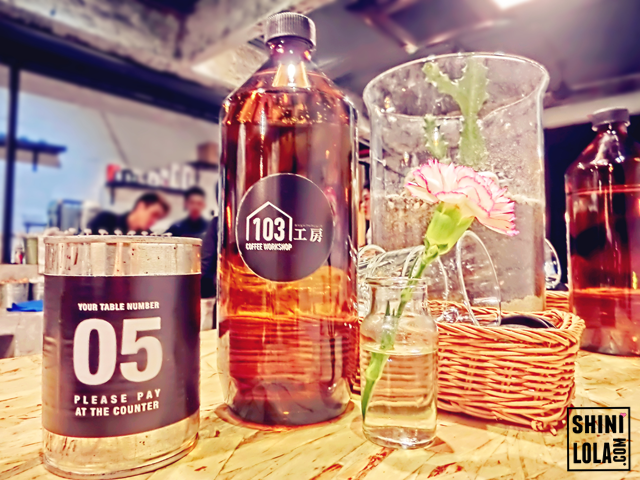 Of course, if you want to go for just plain water, 103 Coffee Workshop always have a big bottle of plain water on table for you to fill up your glass. It can be refill as well. 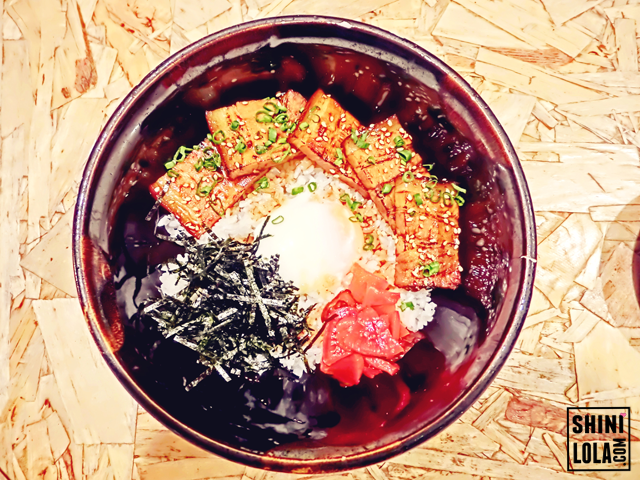 Let's introduce you the new menu - Aburi chasu Don. It's bascially broiled pork belly don. 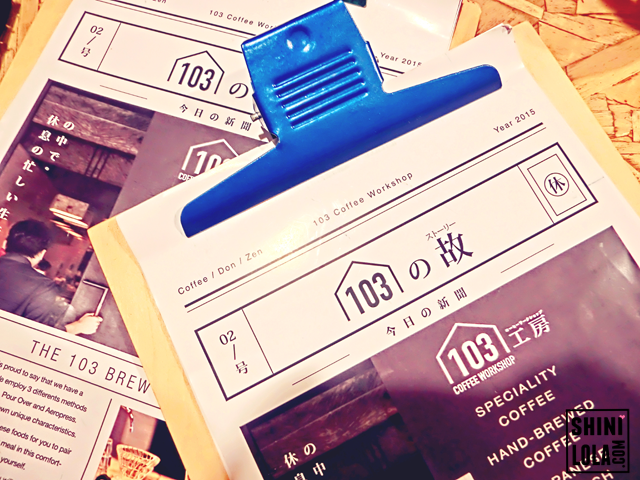 103 Coffee Worskhop always working for newly launch menu after a period. And this time they want to focus more on the pork. The boss himself was a person who like to eat pork so he comes out with this idea. As you can see, the main character was the pork itself along with many other ingredients such as seaweed, egg, Japanese ginger and rice. If you're a coffee person, this is a MUST TRY for you. 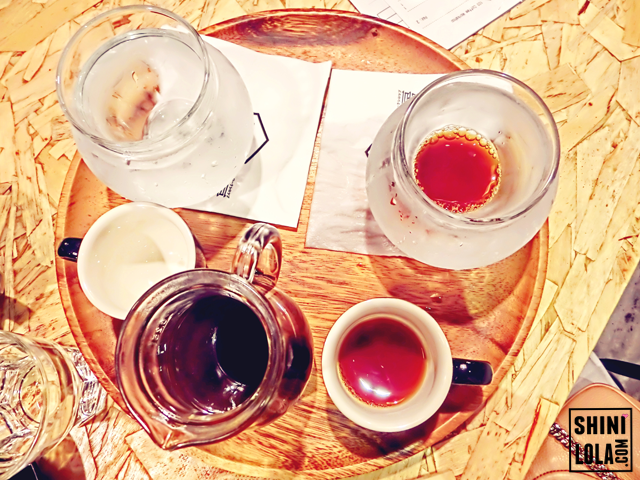 The barista will hand brew the coffee just for you. 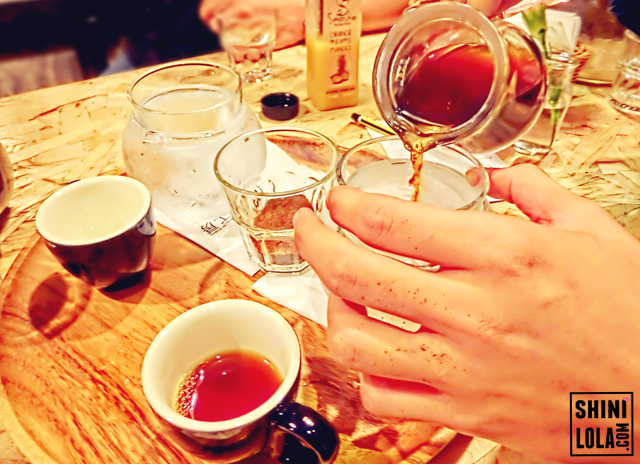 103 Coffee workshop actually have several types of coffee bean and it may different depends on the season. No worries, they always pick up what's the best for you. This set consist of cold and hot coffee with the same coffee bean. I love the cold one. I'm not really the coffee person but this one, its taste are so light and it got a little bit of sour. That's why I like it. The Ethopia Limu coffee bean smell so nice! 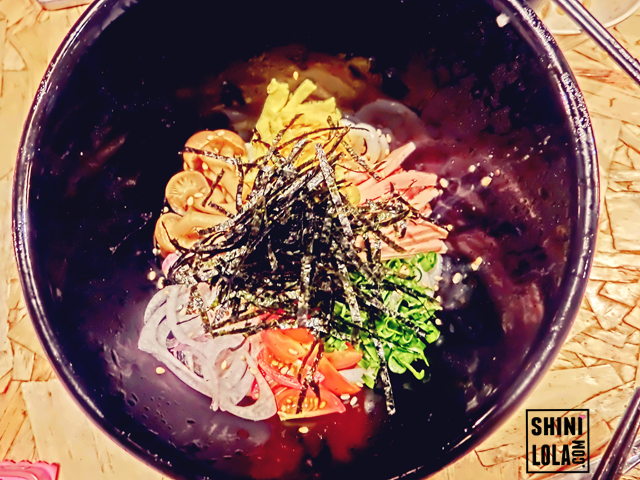 Another newly launch menu was - Hiyashi Goma Udon. It's cold udon served with Japanese sesame sauce. 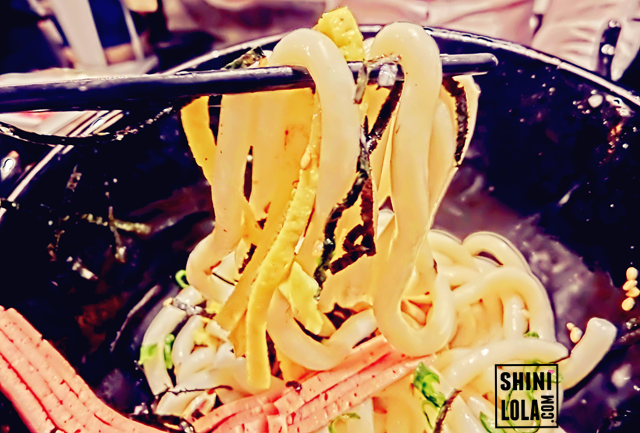 The boss explained to us why he had chosen udon instead of soba is because Malaysian was prefer udon instead of soba. I guess he was right because most of my friend love udon rather than soba. This was my second time for tasting cold udon because normally I will chose cold soba. And guess what, it taste nice! I love this! 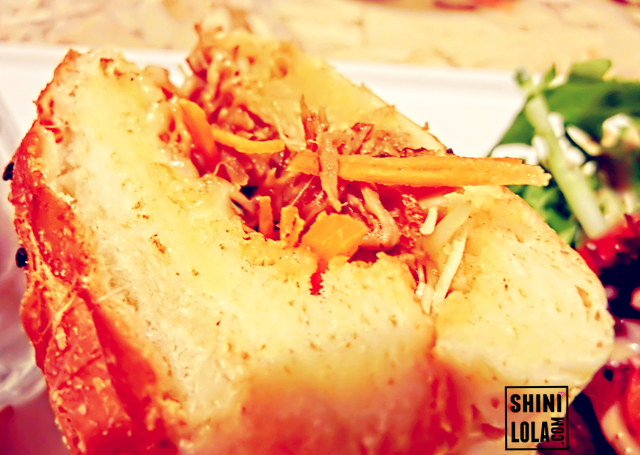 It got plenty of ingredients inside such as ham, mushroom, onion and cherry tomatoes etc. 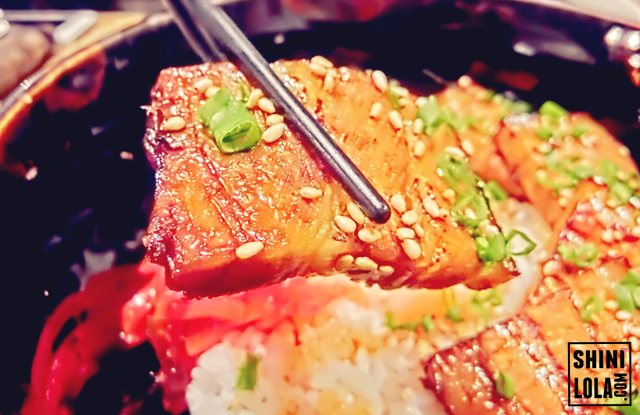 I also like the fact they use sesame sauce instead of soy sauce to bring out the taste and appetite! This was another new menu which will launch very soon! 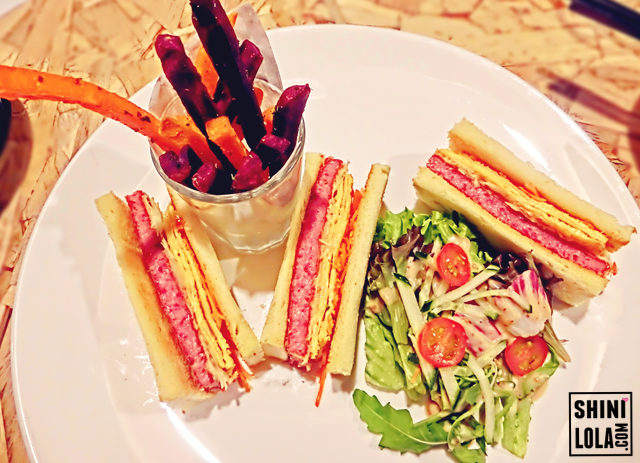 What so special about this sandwiches was they are using luncheon meat! Anyone who like to eat luncheon meat like I do? 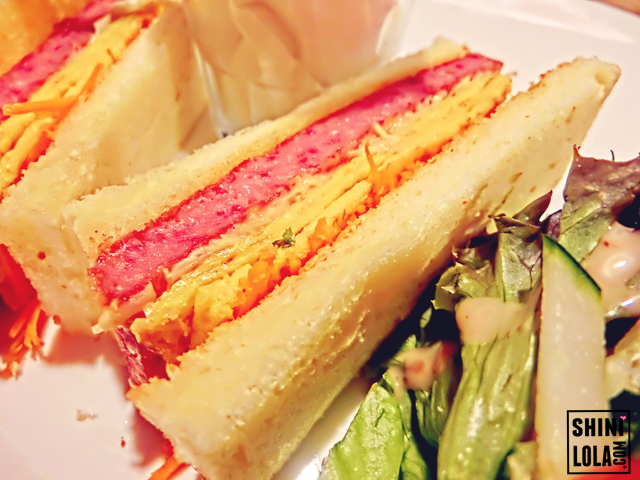 The sandwiches consists of egg and luncheon meat but the luncheon meat taste was so strong and I like it! I know whenever we talk about luncheon meat and some of you might think will lit taste salty? Not really. The boss will actually put it as a standard. They will control the salty level so customers can enjoy the tasty lucheon meat. The side dish sweet potato was crispy and tasty as well. It also come along with the salad if you think the sandwiches was too dry. 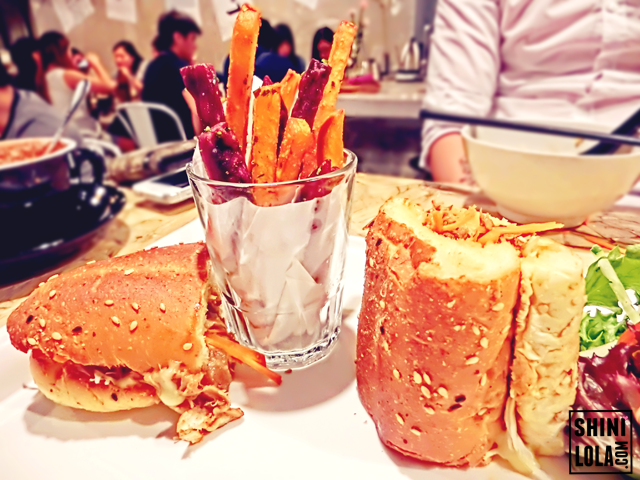 The boss was bold enough to use pork shoulder as the main ingredients for this sandwiches because there are so rare for the chef to use this ingredient in Malaysia. He told us if you're using the appropriate way to cook it, it will taste really delicious. 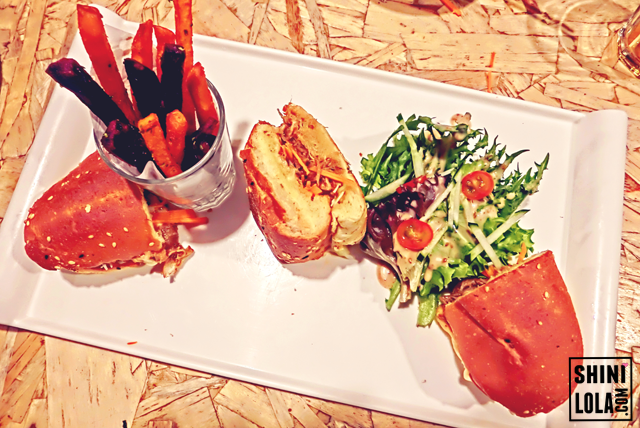 Of course, it comes with the crispy sweet potato and the salad with sesame sauce again to bring up the taste. You can see how they chop the pork shoulder until small pieces of size. 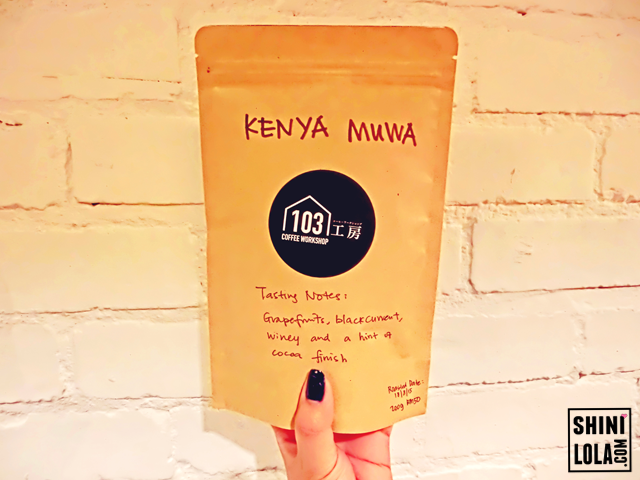 Besides of the delicious foods and beverages, 103 Coffee Workshop also selling several types of coffee bean to the customers and these 2 types of their best selling coffee bean - Kenya Muwa and Ethiopia Limu. Wilayah Persekutuan, 57000 Kuala Lumpur, Malaysia. Hola If you guys noticed, I changed my blog layout design, blog header and colour scheme. Yes, I changed it by my own and basically I spent 2 hours+ for these. I'm not a young teenagers anymore nd lately I don't know why I fall in love with black & white colour(maybe because of boyfie's influence). 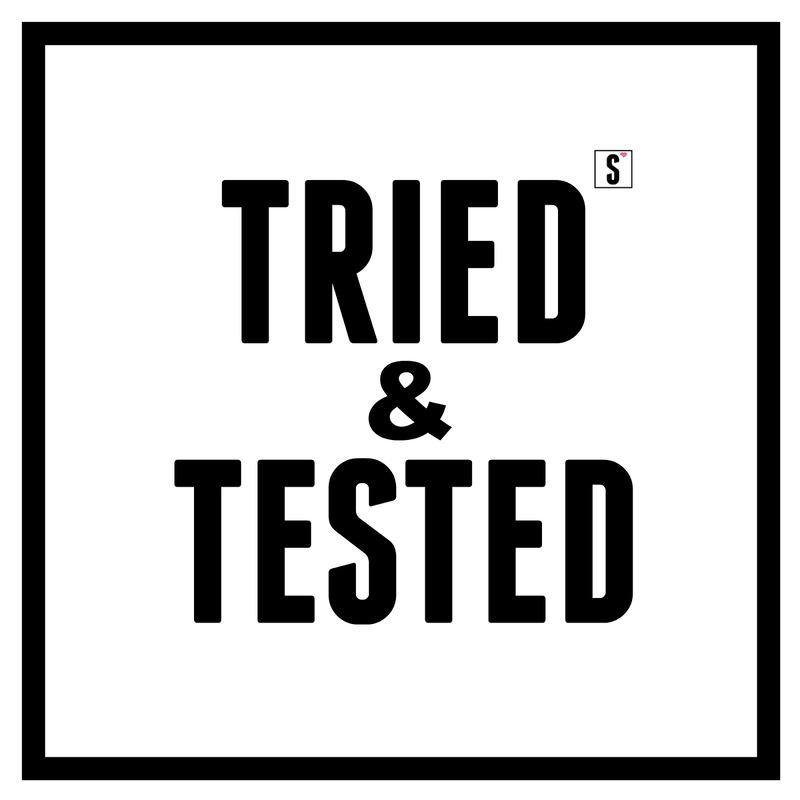 Thus, I modified my fancy pink design into monotone theme.I also changed my logo if you guys noticed. Hope you guys will love it like I do. 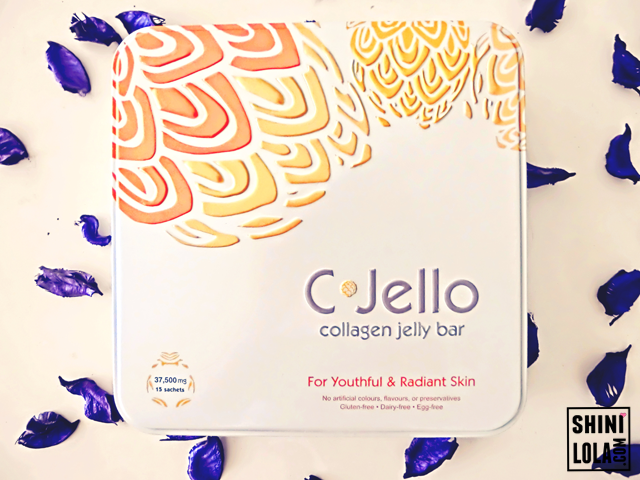 For your info, C-Jello collagen jelly bar is made from wild caught deep ocean fishes such as cod, haddock and pollock. Contains no growth hormones or antibiotics. A better alternative compared to collagen products typically made from farm raised animals. 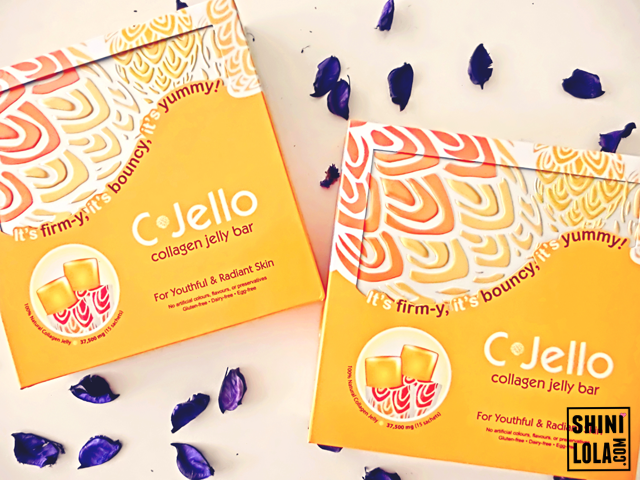 C-Jello collagen jelly bar supports the restoration of the skin by promoting the appearance of youthful, healthy and glowing skin in a safe and non-invasive way. 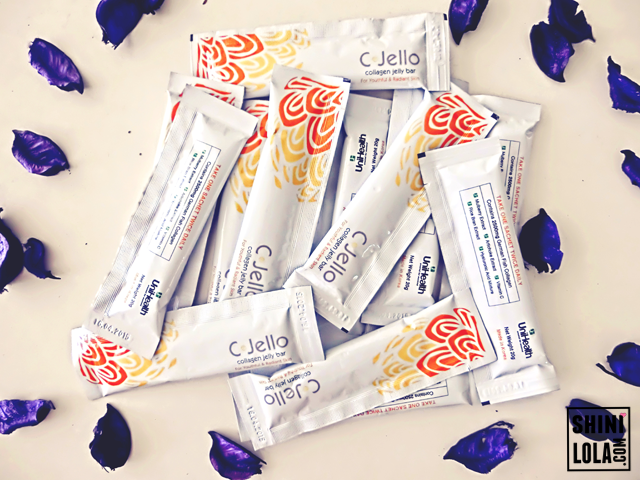 C-Jello is the first ever collagen jelly bar exclusively created in Korea and it was produced to deliver the most effective absorption and with ease of use in mind. 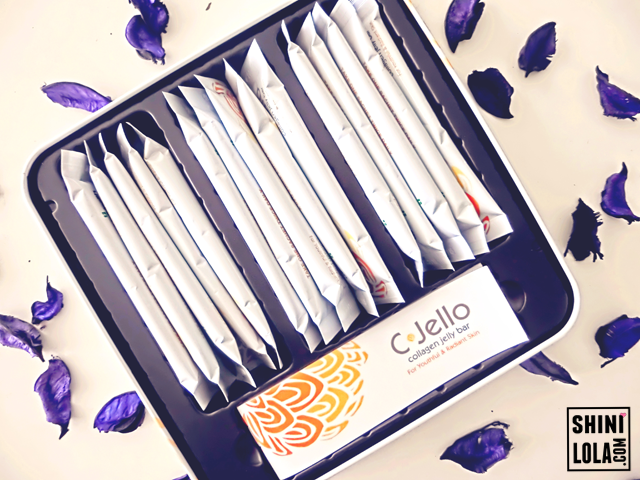 Each box consists of 15 jelly bars. ✦ Delaying the ageing process caused by external factors such as UV rays, harmful free radicals, stress and pollution. ✦ Restructuring of the skin’s collagen and its ability to retain skin’s firmness, elasticity and smoothness. ✦ Stimulates the skin renewal process for a younger and more youthful appearance. 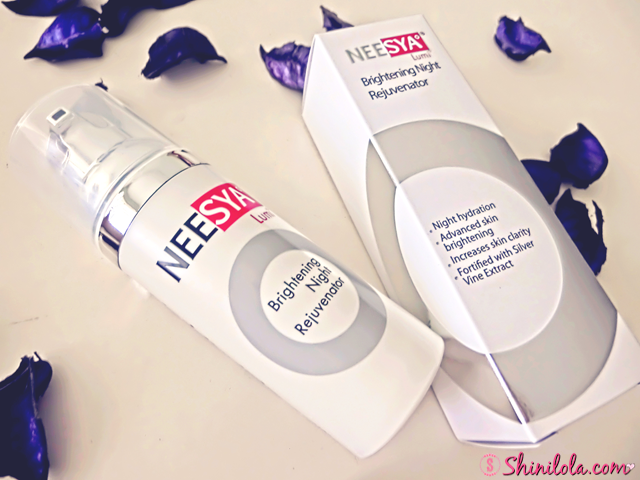 ✦ Reduction of fine lines and wrinkles. 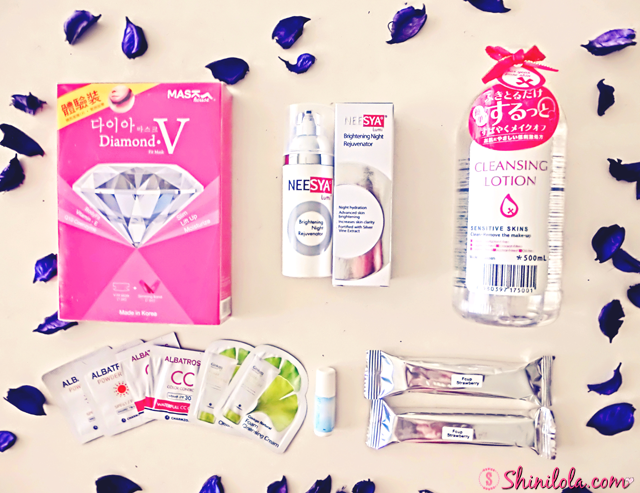 ✦ Lightening of dark spots for a brighter and fairer skin tone. ✦ Improvement of the overall health and suppleness of the skin. 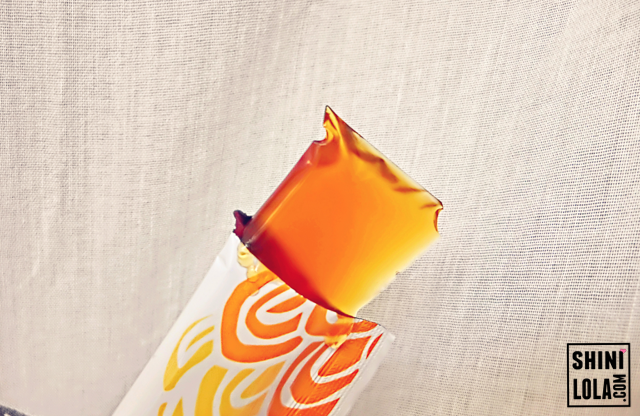 The jelly was in orange colour and doesn't taste really good. I don't favour it though. In conclusion, not tasty at all. Maybe because of the fish oil.It cost RM596 for 2 boxes. If you're interested to know more, you may head to their outlets to ask for more info. 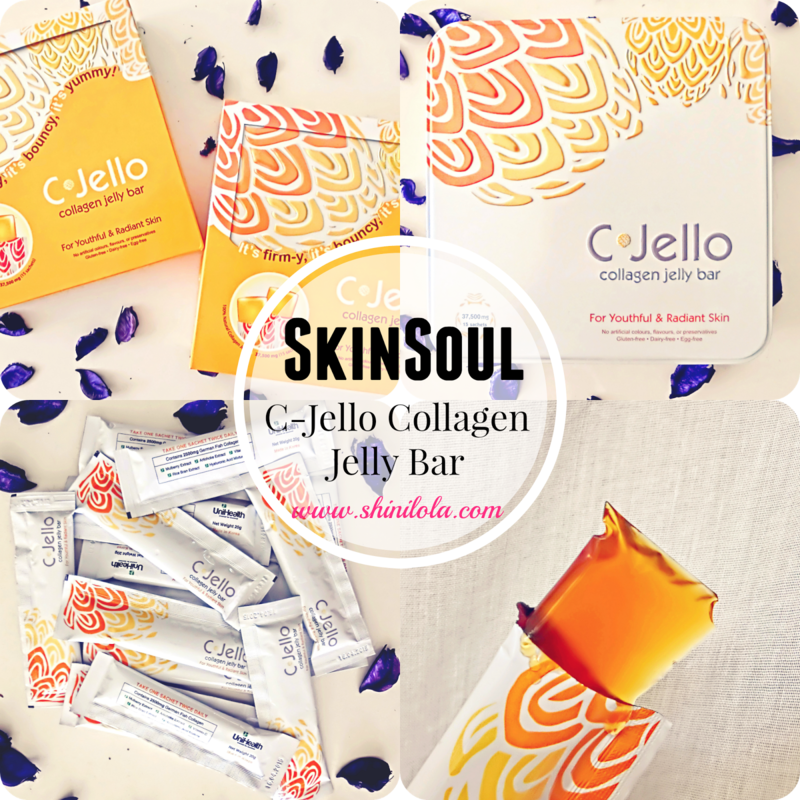 Now, just mentioned #ssshinilola will be entitled to purchase SkinSoul SkinShield Travelling Set at only RM388. Readers will be also entitled to walk away SkinSoul SkinShield Set worth RM100 by minimum purchase of RM100 and above in a single receipt. 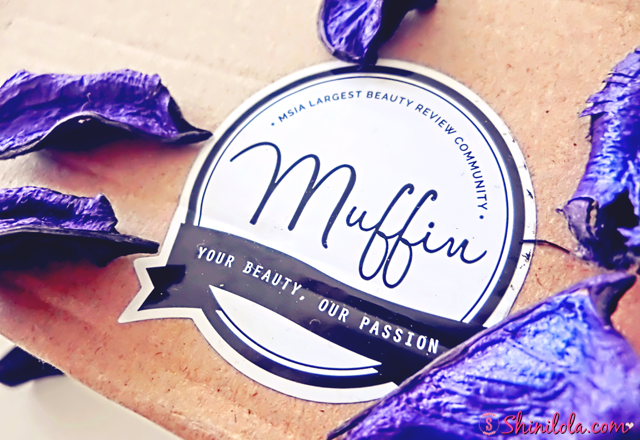 For your info, Muffin.my is Malaysia largest beauty review community for everyone to share info and make neutral reviews about beauty product. Muffin.my serves as your personal beauty advisor, allowing you to customize and match the right beauty products that perfect for you with ease and style. Ta-da! So basically here are the products that I received from them. First up would be Alovivi PureVivi Cleansing Lotion. 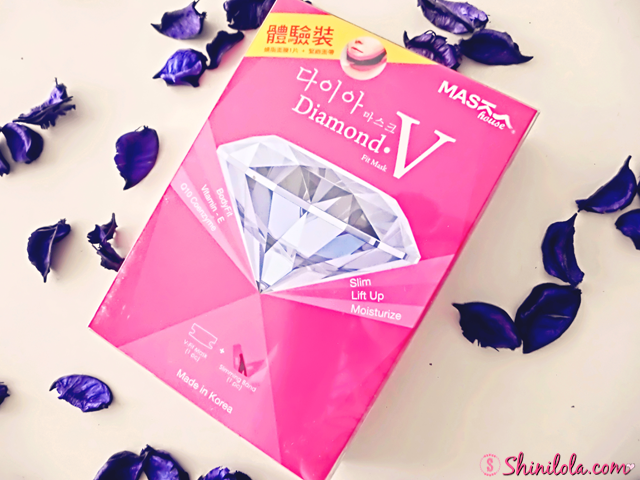 It helps remove makeup and impurity easily. It's great for sensitive skin which person like me. Frankly, I knew my skin consider sensitive, so I would like to choose those non-oily type or gel type instead of cream and oily kind of cleansing oil. Or else, my face will pop up some acne or I will feel uncomfortable. As you can see, the cleansing lotion was transparent and texture looks like water. Directions : Just pour some cleansing lotion on the cotton pad and press and hold on your eyes to remove the eyes makeup. For the facial makeup, you can just gently rub it on your face. 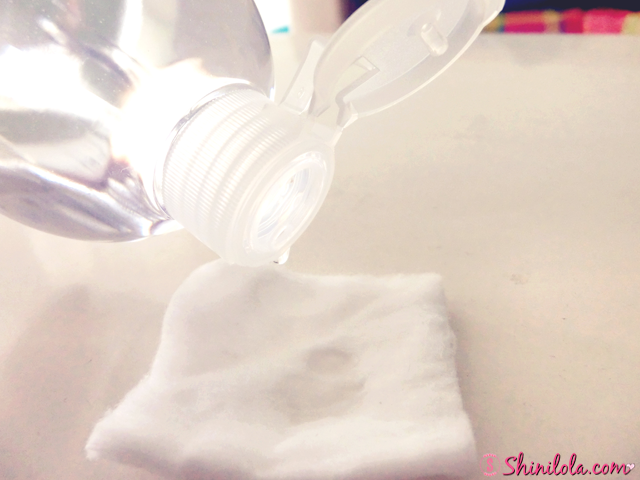 See~ You can remove your makeup with ease! I love how the texture was smooth and non-oily like water and it doesn't have any smell. I'm actually quite sensitive or allergic to those heavy smell but luckily it was fragrance-free. This was my favourite item among the other items. 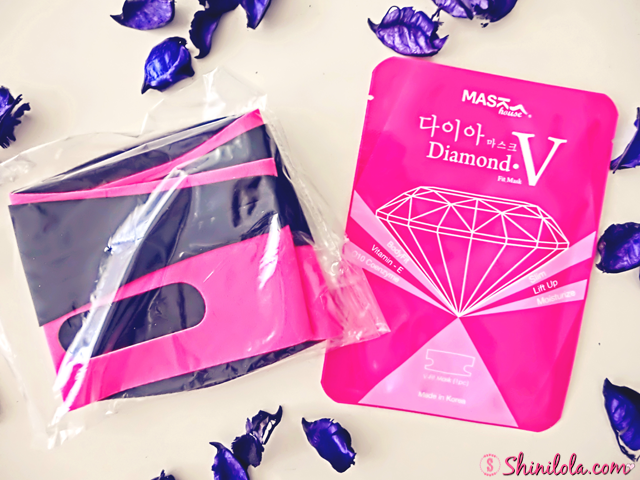 Next up would be Mask House Diamond V Fit Mask. Hydrating sheet mask comes with an easy to use slimming band that lifts and tightens loose, sagging skin for a more pronounced and angular facial contours. Essence enriched masks contain a cocktail of metabolism-boosting ingredients that prevent water retention. Moisturizing ingredients then provide immediate relief to skin dryness, diminishing fine lines and wrinkles with continued use. Suitable for all skin types. 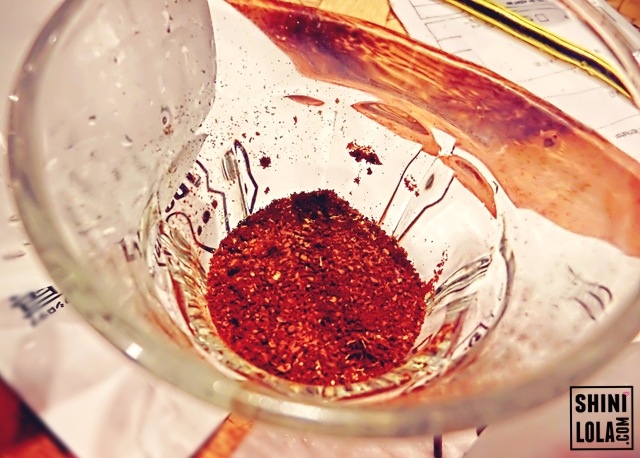 Accelerates metabolism and boosts lymphatic system. Helps to lose chin fat. Performs skin tightening & restores loose & sagging skin. Defenses against the visible sign of aging, such as fine lines & wrinkles. Directions : Take out & unfold the V-Fit Mask sheet. Apply it on the face, larger parts on cheeks & smaller parts around the upper neck. Wear the slimming band & fit it under the chin. Colored part for the outside. Then, tighten the slimming band & adjust each hole for ears. Pull the head strap up and over the top of the head and fasten firmly. Peel off the mask slowly from the edges after 30-40 minutes and massage the jaw and neck area gently until the essence is fully absorbed. As you can notice from the photo, my jaw turns a little bit "V" shape. The process should be repeated every other day for a week to achieve better result. Deeply hydrates, rejuvenates and illuminates skin through the night. Fortified with Silver Vine extract, Alpha‐Melight™ and natural fruits complex, helps skin regain radiance and clarity. Replenished with a vital dose of brightening and hydration active ingredients, skin regains smoothness and suppleness. Results in an energized, illuminated, refined and firmer skin texture. 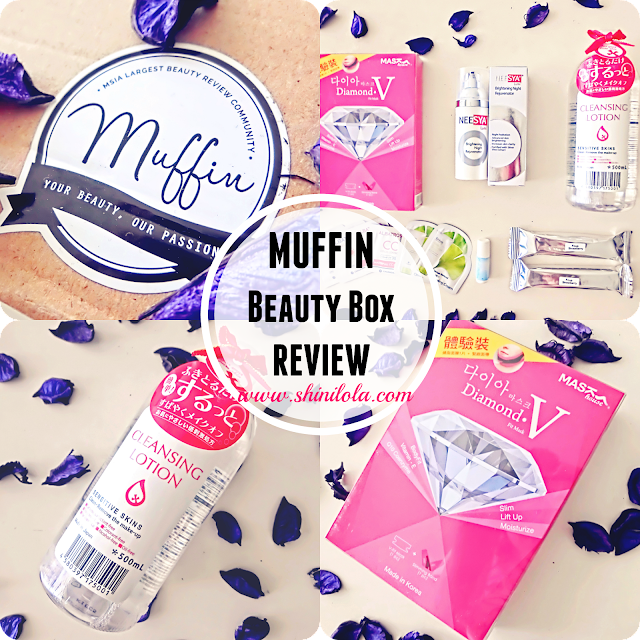 Tried and tested on it and it does surprise me.After I applied it on my face, I can feel my skin is a little brighter and moisture at the same time. Even on the next day, the result is still the same. I would like to suggest apply this at night(obviously) and all you need to do just cleanse it in the morning on the next day. Your ksin can stay even brighter if you're using it for a long terms. An innovative product from Japan, the F.CUP brand offers natural breast enhancement solutions with essential amino acids. A hot selling product with over 4.5 million boes in Japan. The concept of F.CUP revolves around maximizing beauty with nature and changing to be more beautiful, while still providing tasty products. The brand ensures the safety development of the products thoroughly through close coorperation with manufacturers. Production in factory undergoes stringent measures against insects and foreign substances as well as analysis on pasteurizations.